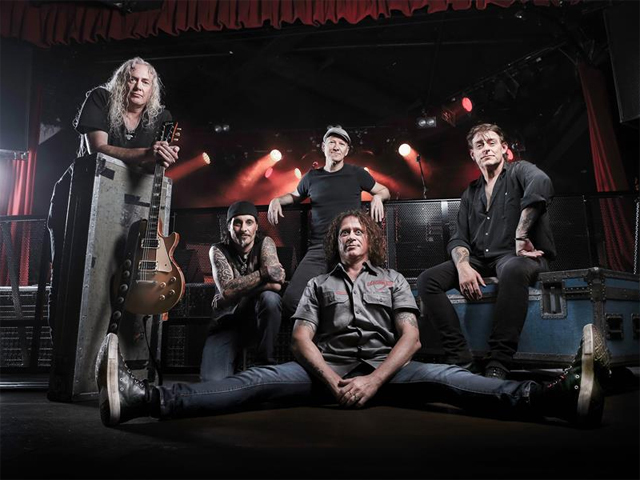 Celebrating 30 years, The Screaming Jets are taking a step back in time and revisiting their musical history. Songs like 'Sister Tease', 'Stop The World', 'Blue Sashes', 'Think', and many more gems are set to be unleashed onto fans in a select few shows. With special guests in THE Poor, The Celibate Rifles and Boom Crash Opera in tow, the Jets will celebrate their journey over 3 decades in the music business! Fans should prepare for The Screaming Jets to blow their minds (and ears), with a live retrospective of the band's thirty year career… 8 studio albums, 2 live albums, 3 EP's. With well over 100 original songs in an extensive rock catalogue, the Jets are going back to their roots and uncovering songs they haven't played for years. A recent poll of fans could see the boys pull out favourites such as 'Living In England' & 'Meet Anybody' (Living In England EP), 'Everytime' & 'Night Child' (Tear Of Thought album) and 'Life & Death' (The Screaming Jets self titled album) to name a few favourties from their extensive catalogue. Not much has changed since 1989 when this bunch of hard rockin' blokes emerged from the 'burbs of Newcastle.... Belligerent, ball tearing rock was their calling card. By 1990, they busted out of Steel Town to introduce themselves to the wider world....of Kings Cross, the wild Aussie pub rock scene and the international stages of the US, UK and Europe. Blistering live shows ensued, littered with great songs, and controversy on and off stage in equal parts. There were those who thought the Jets would burn out and be consigned to the scrap heap of rock - how wrong they were! Fast forward 30 years, through countless gigs and over a dozen albums and the Jets are firmly established as one of Australia's most respected rock bands. In the heartland of working class strongholds, they sit proudly alongside Chisel, The Angels, the Choirboys and the other bands who have shaped Oz Rock as we know it today. And they will continue to do so for many years to come!